A close friend of yours is having an intimate birthday get-together soon, and you’re racking your brain for gift ideas but always seem to come up short. There’s no need to get anxious about whether or not you’re a good friend. You’ve simply stumbled upon a creative block and there’s an easy remedy to that. 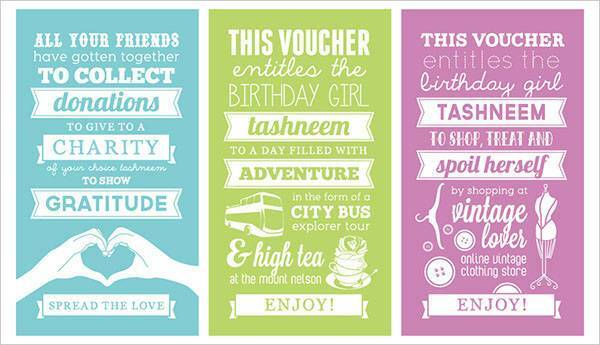 Go for gift vouchers! 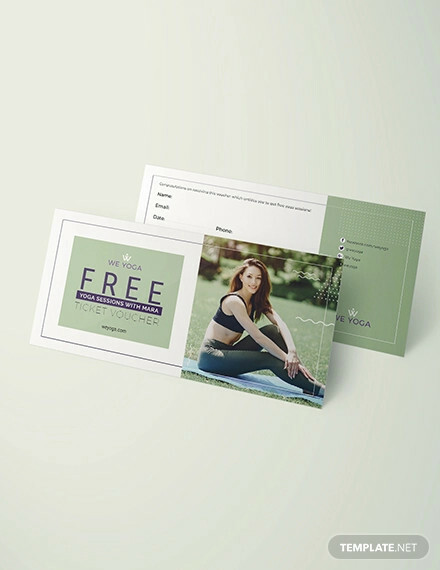 They’re simple but thoughtful printed cards that entitle the holder to a discounted or free product or service. 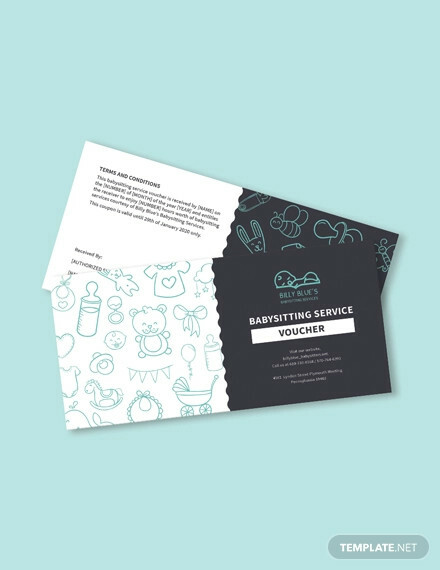 There are plenty of gift vouchers that cater to different interests and brands, and the best ones always come in awesome designs. Pair them with a personal greeting card and see your friend’s face light up brighter than the candles on her birthday cake. 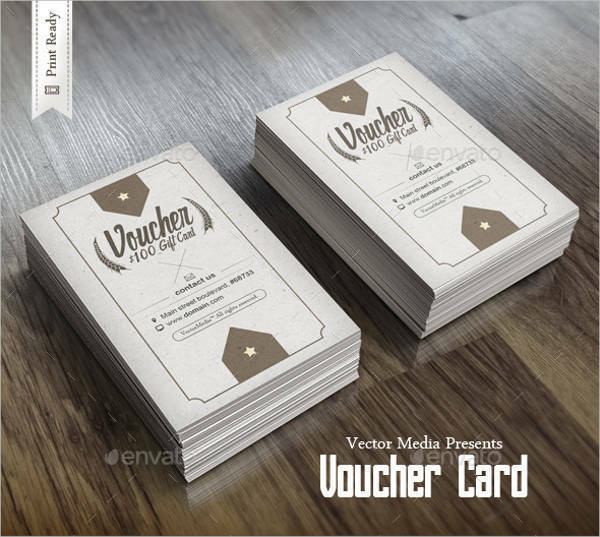 What does a Voucher contain? 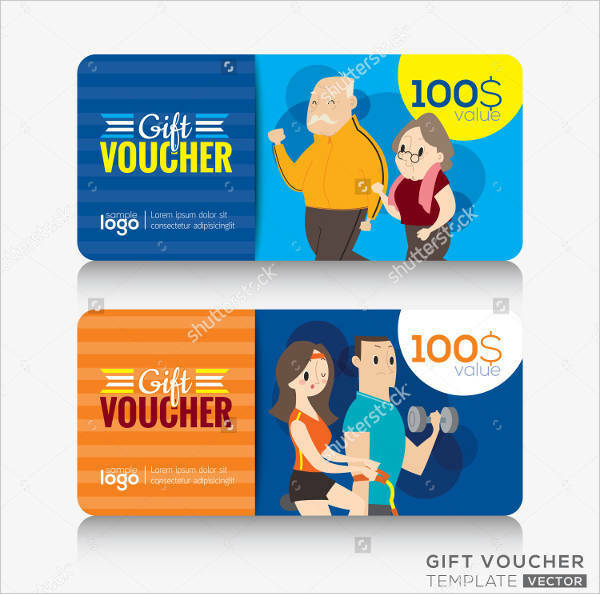 Commonly known as gift cards, vouchers are issued by a particular company or brand enabling its owner to avail a certain product or service for free or with a reduced price. They’re not limited to fashion brands or beauty salons alone. 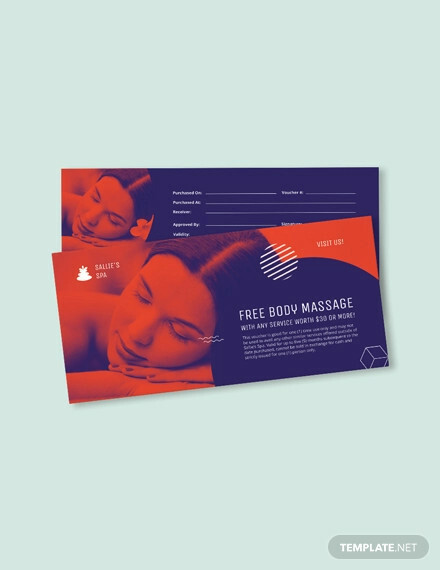 Restaurants, travel agencies, gyms, and spa houses can produce vouchers for their services. 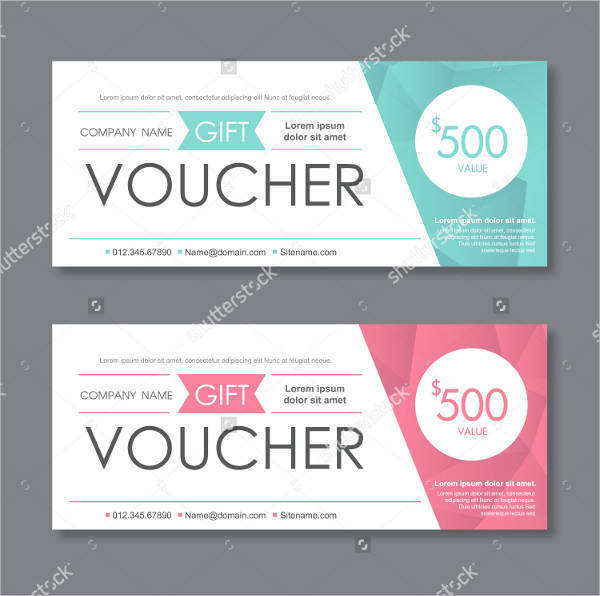 The Brand or Company Name and Logo – Vouchers are not just applicable anywhere. They cater to specific brands or companies, and even then, some are exclusive to certain branches the store, restaurant, or agency is located. 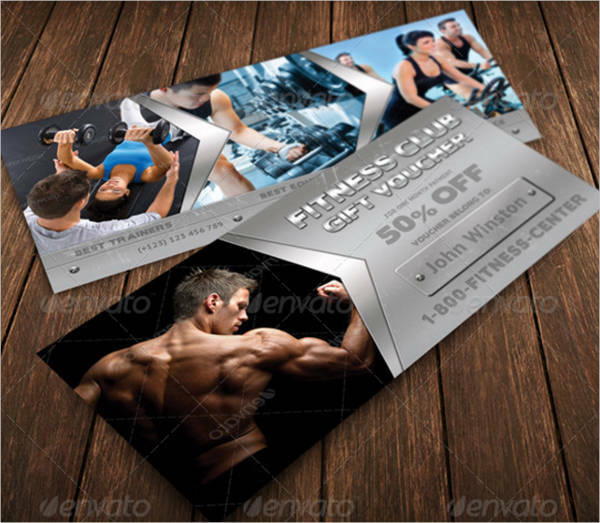 Special Offer or Discount Rate – Vouchers or gift cards usually offer a discounted price for your purchase. 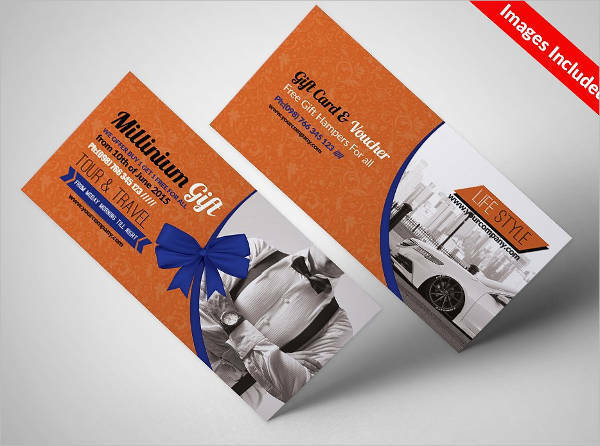 There are some gift cards that contain monetary value that may be consumable and often times, loadable. 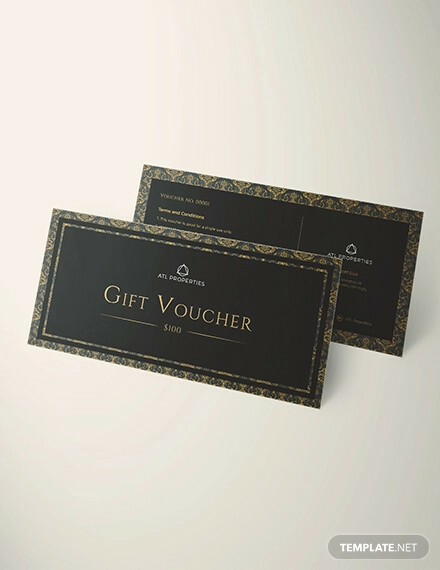 Other gift cards entitle you to a free meal or spa treatment. 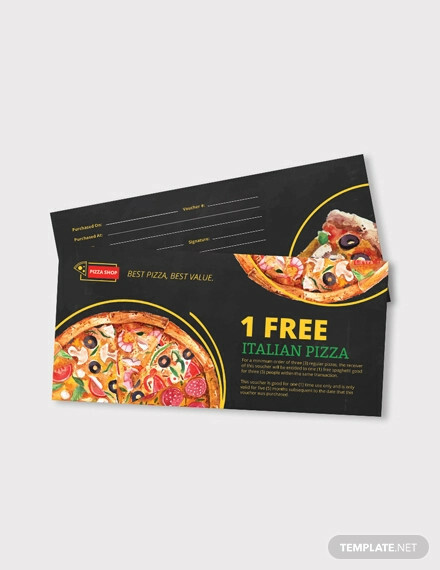 Expiration – Take note of the duration of your voucher’s eligibility. 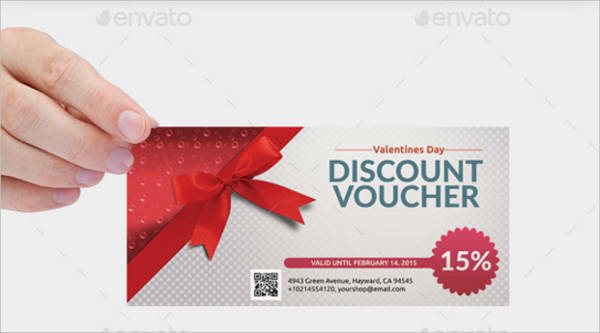 There are vouchers that are only redeemable for a certain period of time. 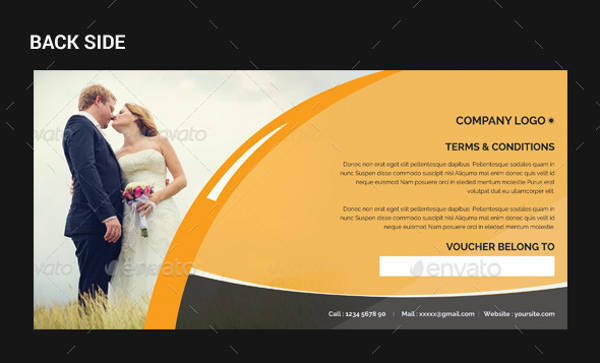 Terms and Conditions – There’s usually an outline of the voucher’s terms and conditions. 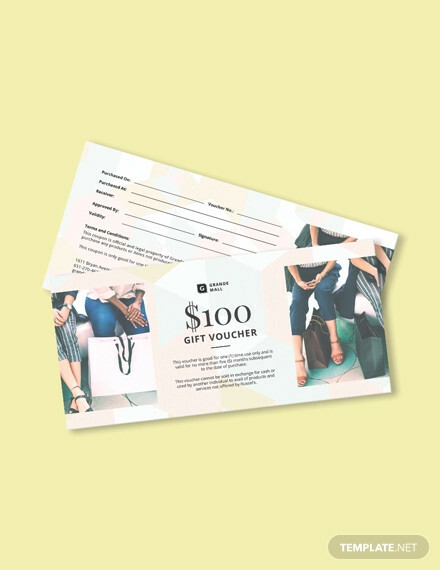 Allowable purchases, duration, available branches or stores- these are all summarized at the back of your voucher or gift card. 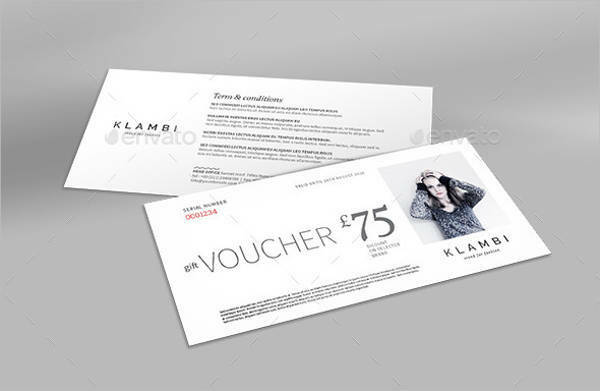 An Official Signature or Stamp – Try to see if there’s an official signature or stamp marking the legitimacy of your voucher. 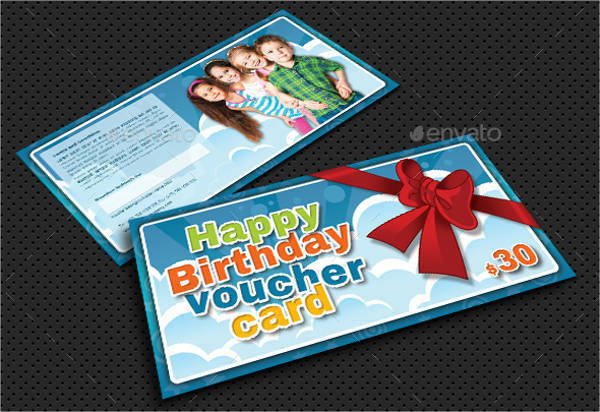 They are not always present in all vouchers. 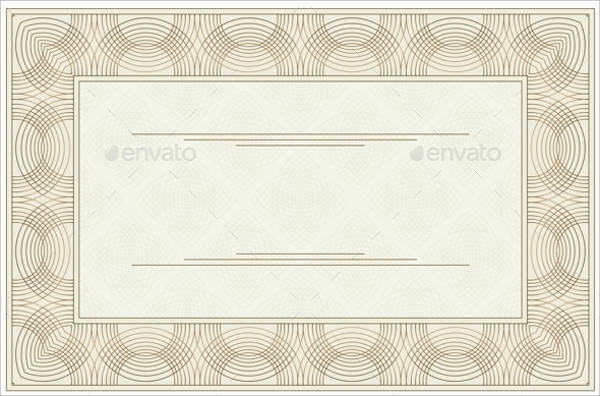 Some voucher cards are evidently authentic even without a stamp. 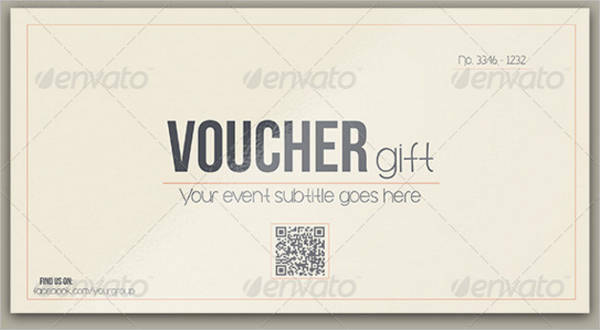 You’d have to be thorough and critical when receiving a voucher. Why are Vouchers Good for Business? 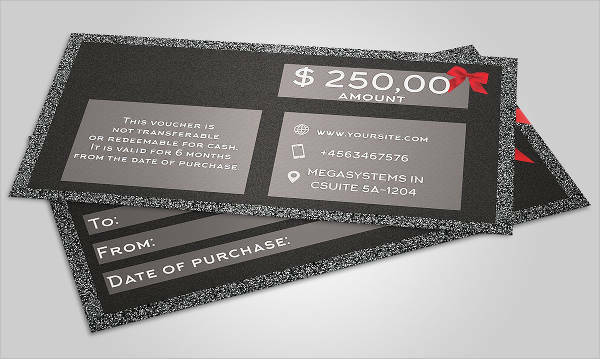 If you happen to be on the business end, vouchers can be pretty advantageous for your company. 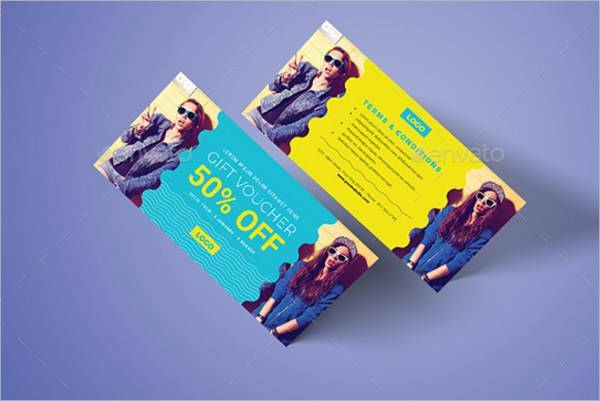 They are an effective way of attracting customers both current and old. And, most importantly, they can help gain new ones. 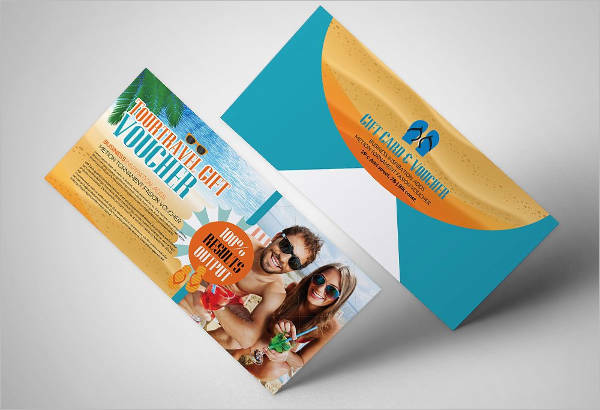 Vouchers are, in hindsight, an added resource and asset for your marketing strategies. 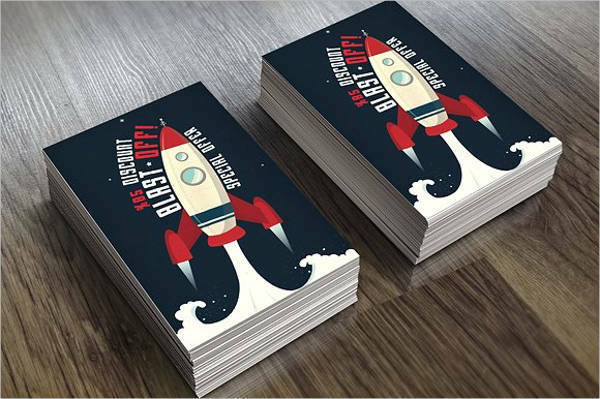 It’s highly likely you’ve tried different methods in advertising your company—be it brochures, catalogs, or flyers. They’re all equally effective and can achieve specific objectives you have for your company. 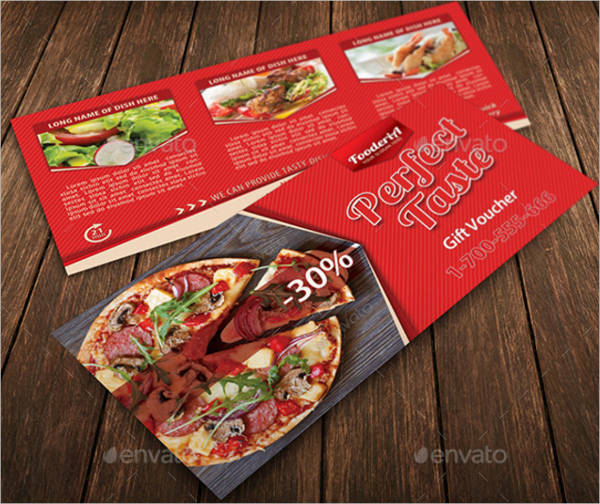 A catalog design gives a customer an overview of everything you have to offer as a company. 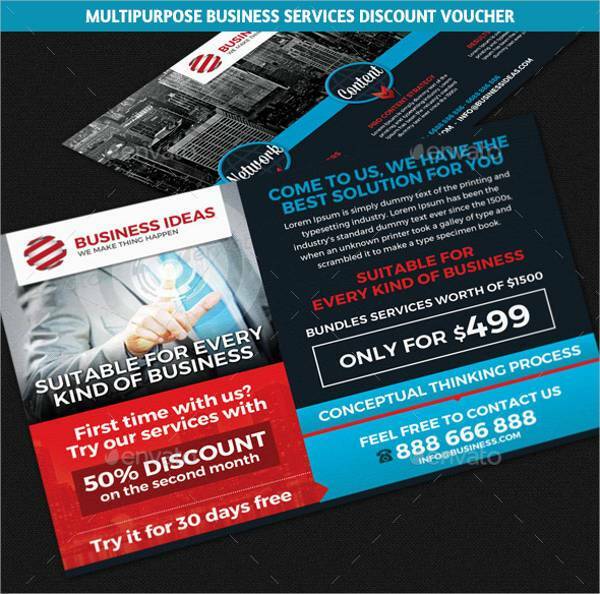 Brochure designs provide the avenue for you to introduce your company and highlight the best things about you. On the other hand, flyer designs are extremely helpful for more immediate announcements and events. 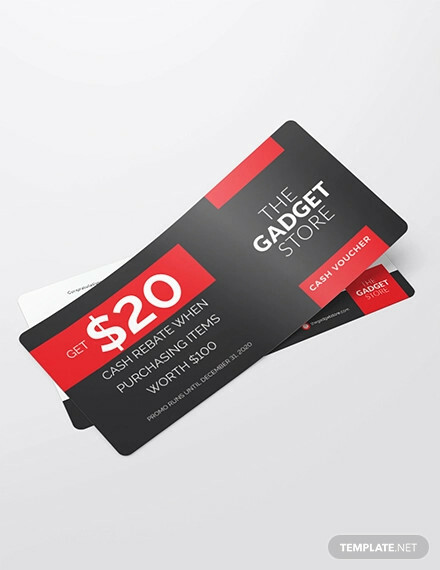 Vouchers have their own edge. 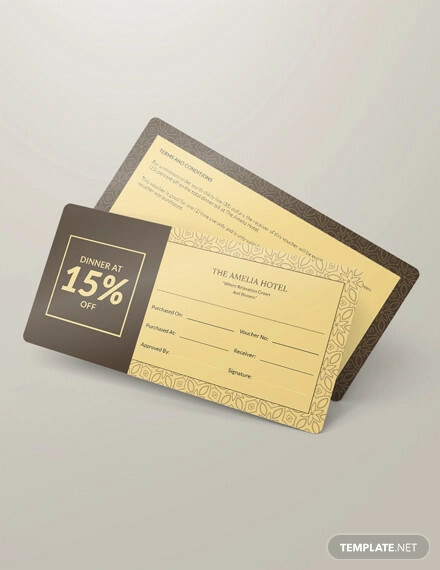 They not only make your company, business, or travel destination feel more accessible, they meet the clients more than halfway with welcoming treats and special offers. 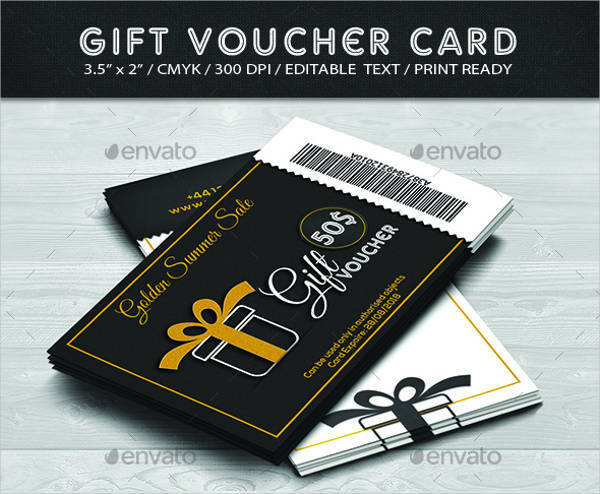 Vouchers or gift cards can boost profit from clients because there’s nothing consumers want more than a good deal. It can open doors for different markets and a whole new niche. 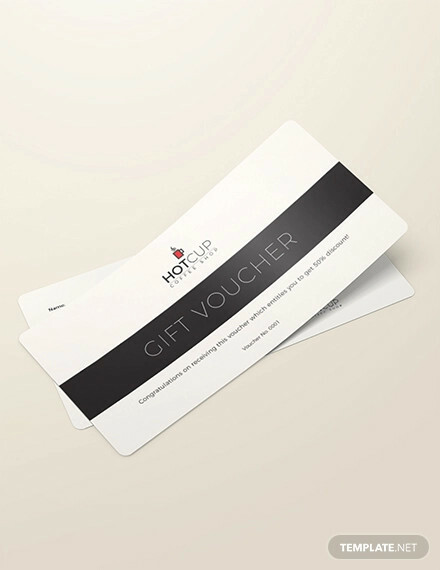 There’s plenty of options when it comes to designing your vouchers. It’s imperative you go through the tedium of the planning stage. 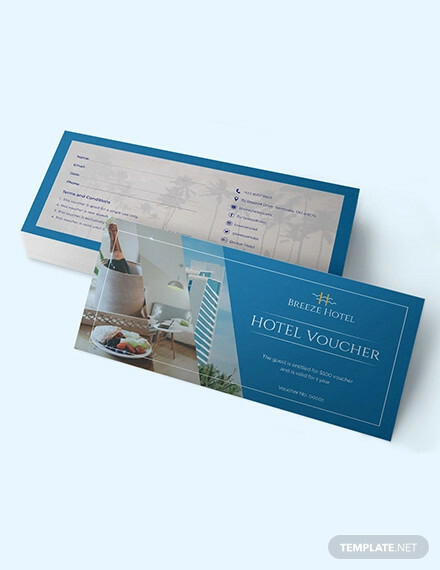 Lay out an outline for the contents of your vouchers. If you plan on going with a theme, start thinking of patterns and designs that can best produce that. If you prefer to keep things simple and minimal, start looking for images or typefaces to try out. 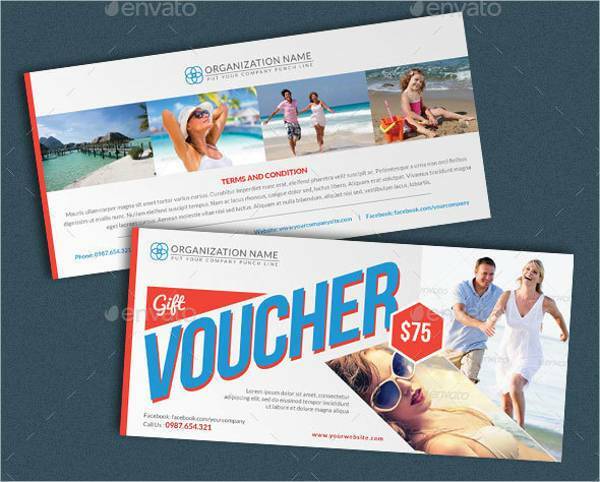 If you’re still surfing through your options, maybe these voucher designs can help narrow them down. Minimalist – It’s all about going back to basics with minimalism. It doesn’t necessarily mean you have to keep your designs in black and white. Minimalism is simply an aesthetic where there is sophistication in simplicity. 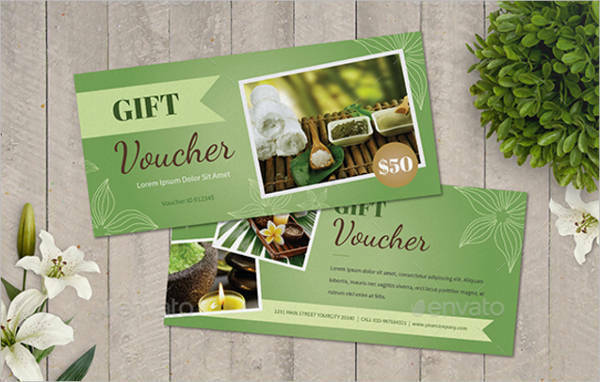 Don’t bombard your vouchers with too much color, text, or images. Basically, there shouldn’t be too much of anything. Present all the necessary information with the least amount of clutter. 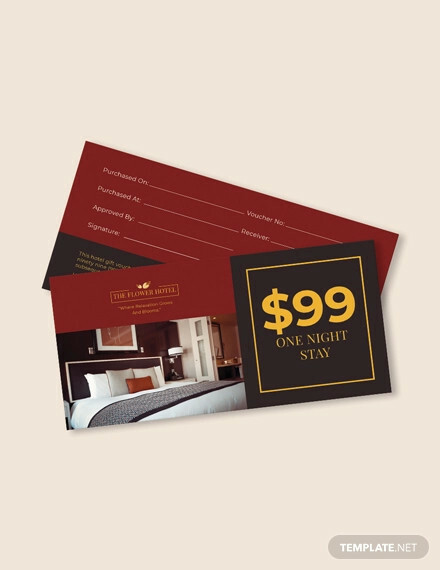 A simple border design and classy typeface will do. 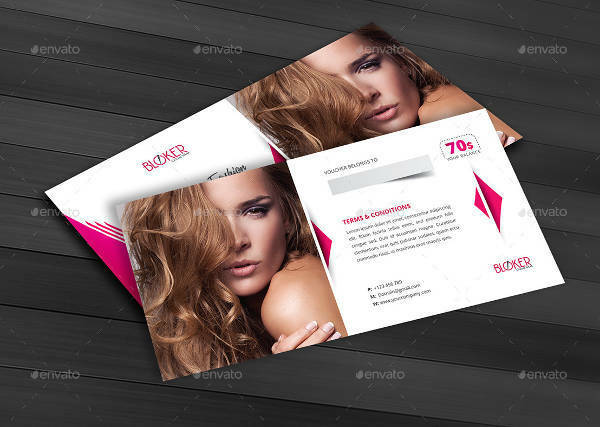 Professional – A professional look for your vouchers is appropriate for corporate and high class products or services. 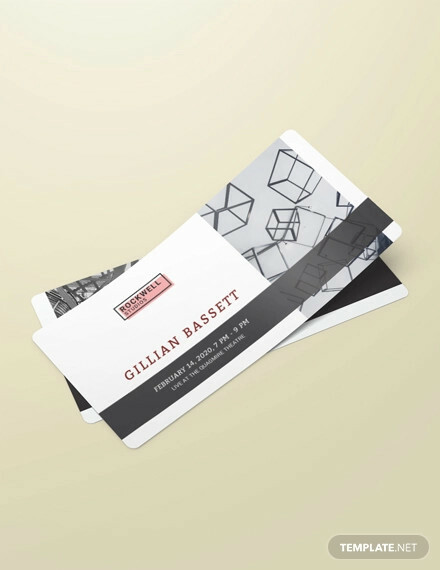 They can somehow be closely related to a business card look. 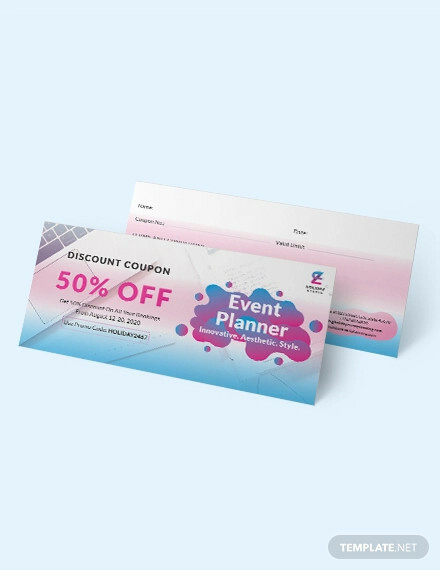 Professional vouchers have more details and designs compared to minimalist voucher designs, but they are just as neat and organized. You do, however, have more creative liberty in the presentation. 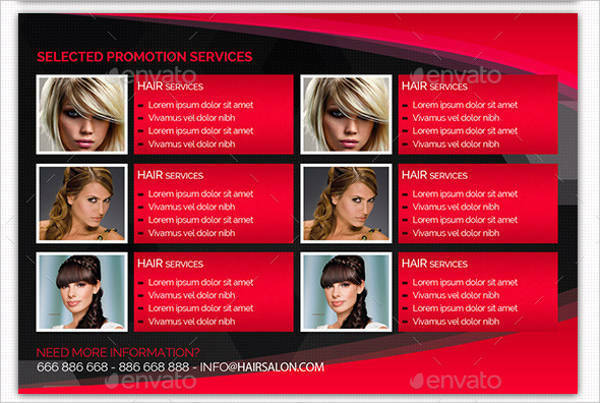 Dynamic patterns and striking colors are acceptable for the professional look. Technology-focused companies would opt to look more futuristic. 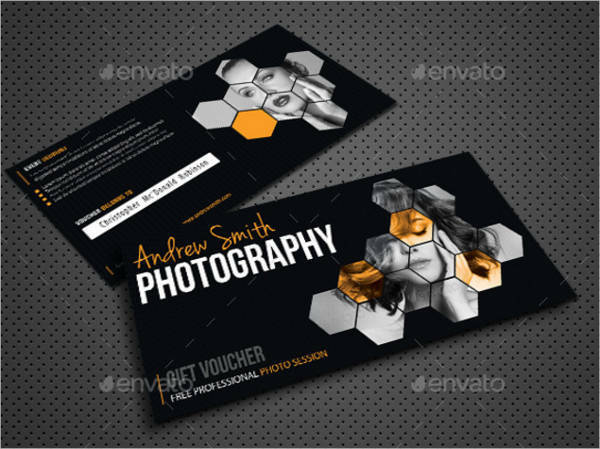 Vouchers for photographers or graphic designers tend to be more visual. 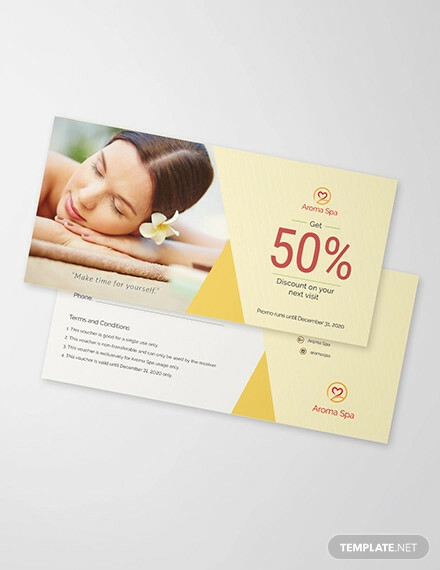 Be consistent with the image and brand of your company to instill instant brand-recall. 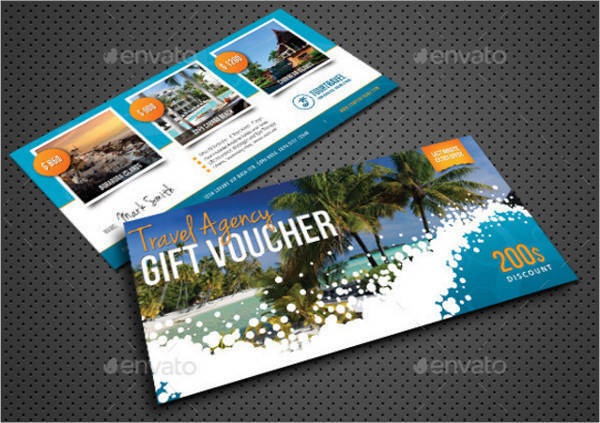 Holiday or Special Occasion – There are vouchers specifically designed for the holidays or special occasions. 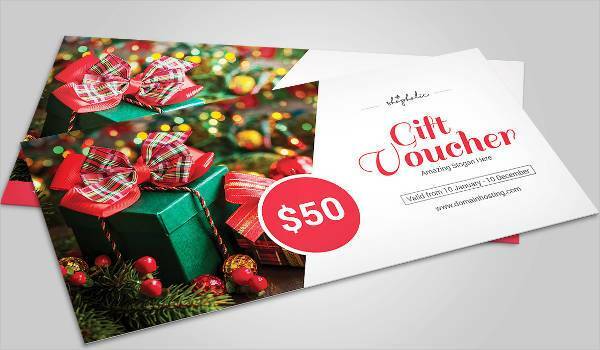 Not only is this a good marketing strategy, designing holiday-themed vouchers can be very enjoyable. 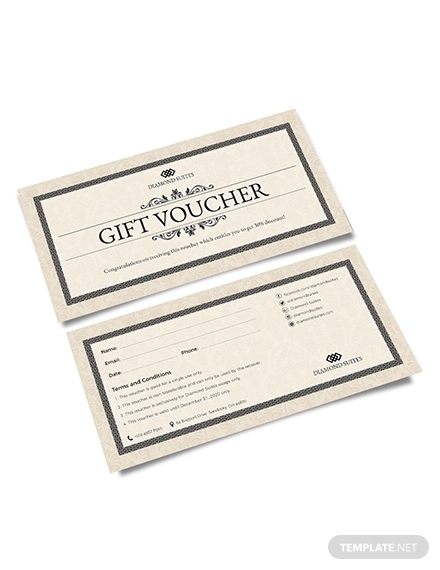 Christmas gift vouchers are pretty common in almost any company or business. 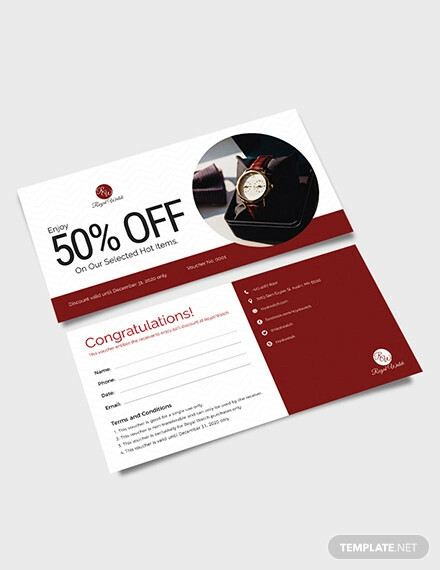 Voucher designs are bathed in red and gold, ribbons, and jolly Christmas fonts. Some would even complete the look with a tiny enveloped designed to look like a gift box. 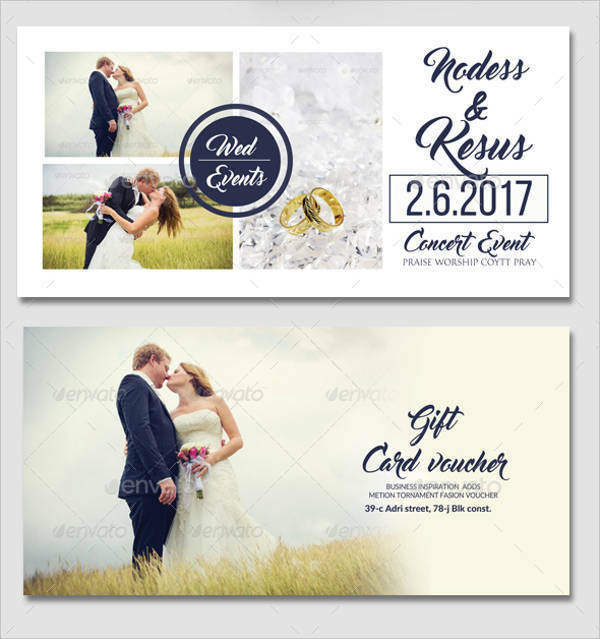 Weddings are special occasions that can be taken advantaged of by certain brands. 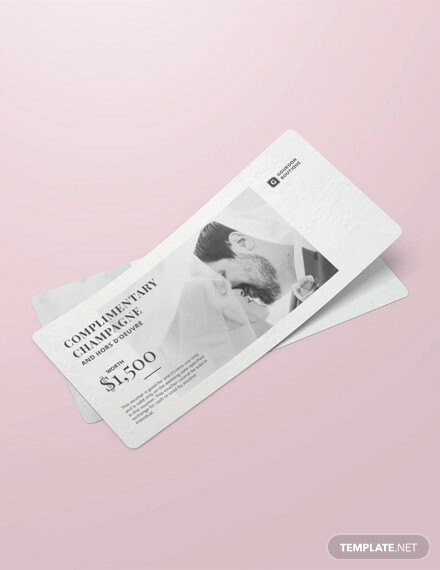 There are special vouchers for newly wedded couples designed in pearl white, intricate patterns with an image of possible products you can purchase with your card. 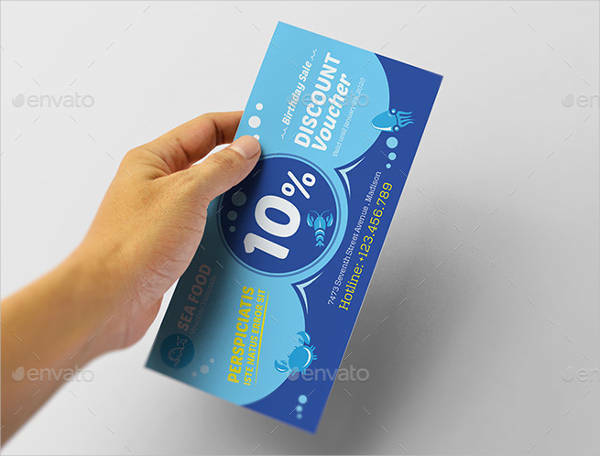 DIY – You may not represent a company or a restaurant, but you really enjoy making voucher cards for your friends. That’s totally fine and undeniably cool. 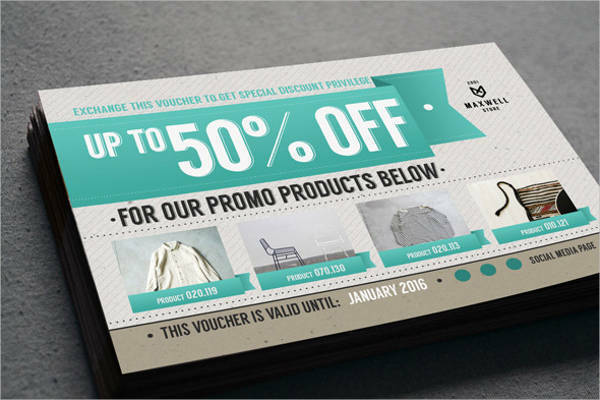 There are DIY voucher designs you can get inspiration from to be able to make your own. 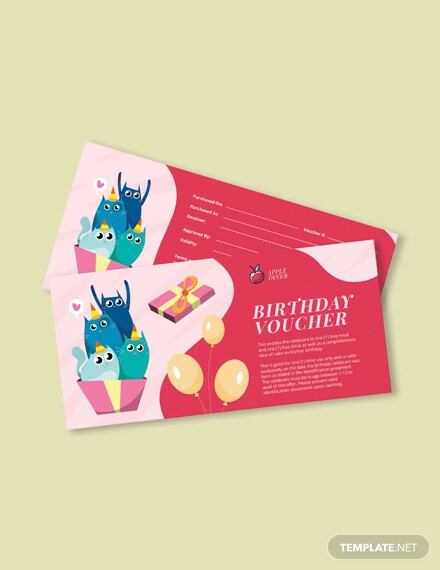 Your vouchers can prove how much you care about other people when you customize them to fit the personality and preferences of your friends. 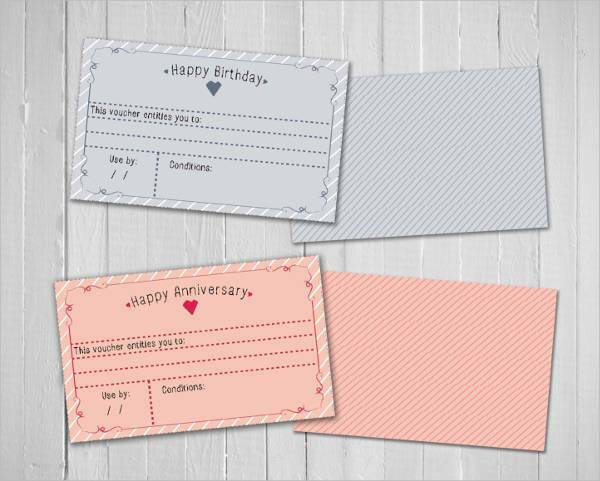 Make a voucher with 20 free hugs for one of your friends or a day at a vintage cafe shop for another, and cap it off with DIY ideas for gift packaging. 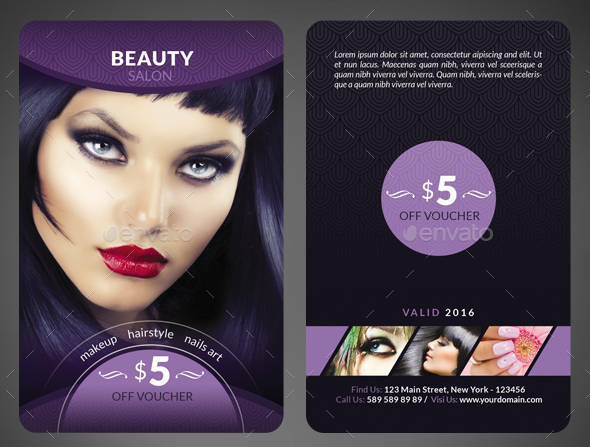 Beauty Salon – A voucher for a discounted hair and make-up service is something you shouldn’t pass up. 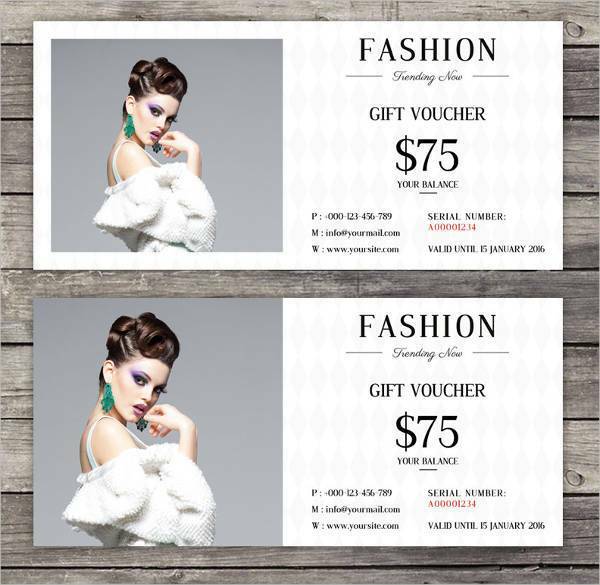 Beauty salons can make use of vouchers as a way to gain more clients. This is especially true for luxurious salons whose target market may be at the thinner end of the funnel. 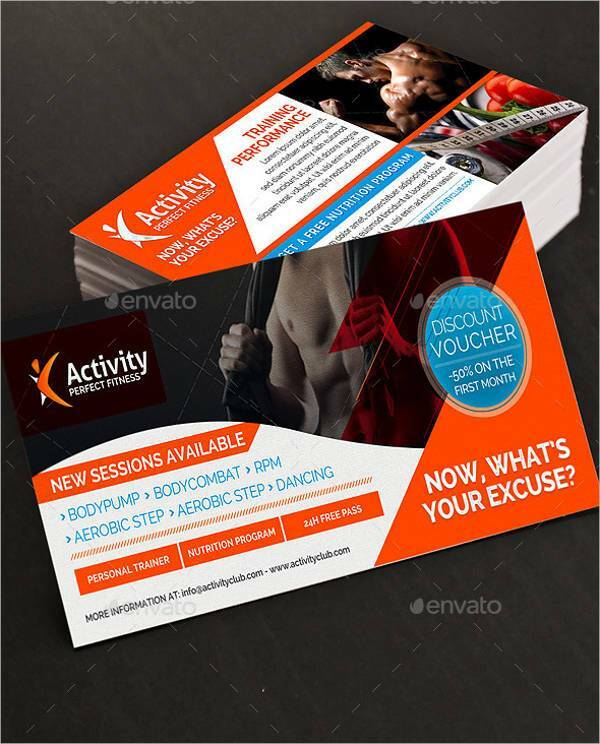 Fitness and Gym – If you’re on your opening week, it’s usually a good idea to offer a special promo for your clients along with your gym flyers. 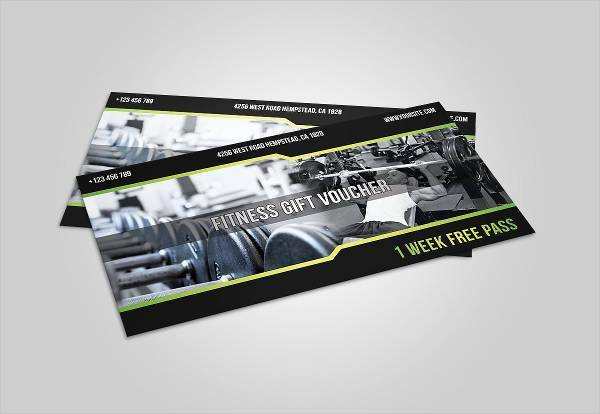 Designing a voucher to give a week of free use of gym equipment for first time customers may influence them to sign up for your membership program. It’s also a good opportunity for you to show potential customers how you provide not just better equipment, but an overall better environment for your members. 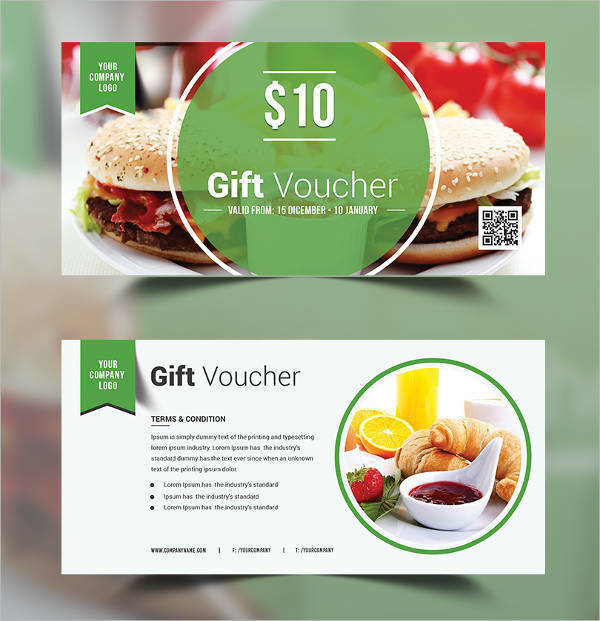 Restaurant and Coffee Shops – Fast food chains are not the only ones benefiting from vouchers. 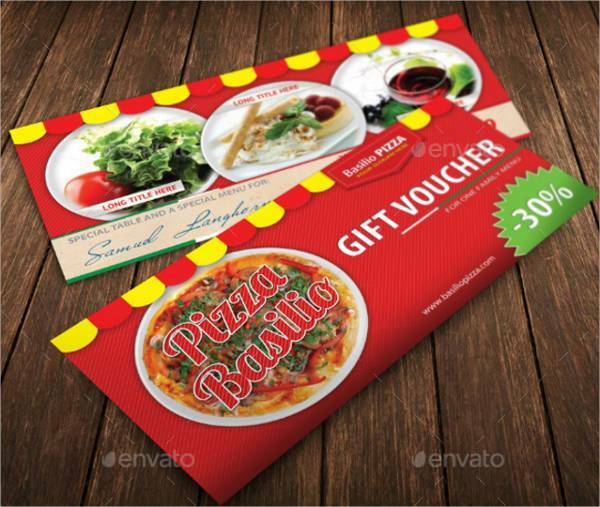 Don’t limit yourself to a simple restaurant banner. 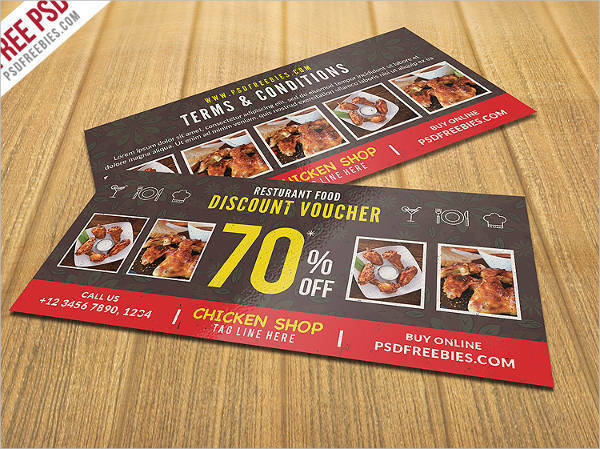 Formal restaurants and coffee shops can offer discounted meals or great package deals to its customers. 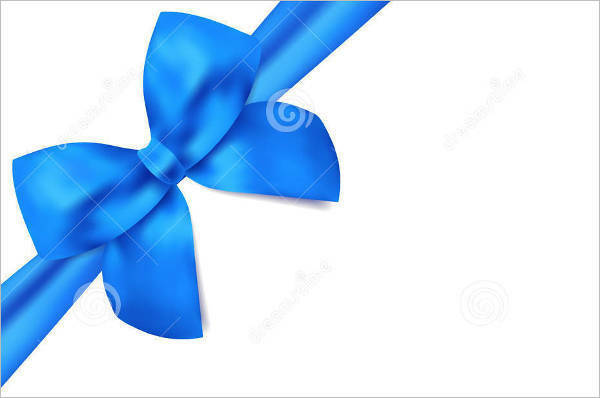 This can be incredibly effective during special holidays and occasions. 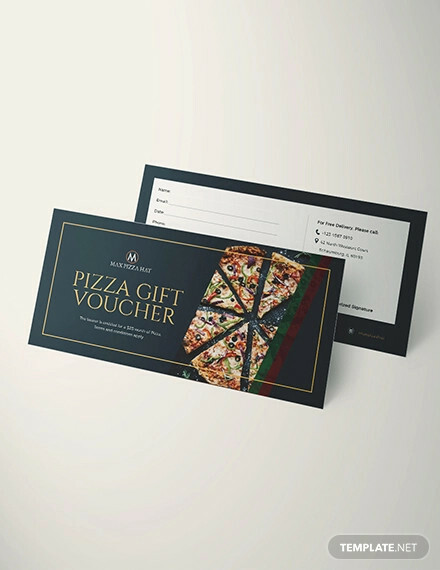 You can have limited edition vouchers for an all-you-can-eat buffet or a free dessert after purchasing a meal for two. 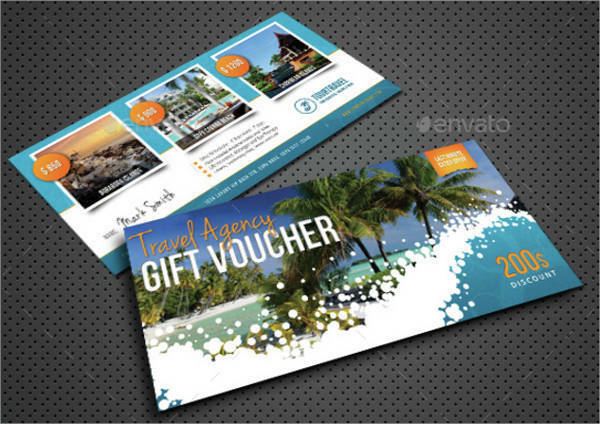 Travel Agencies – A travel flyer is not the only way to market a top tourist destination. 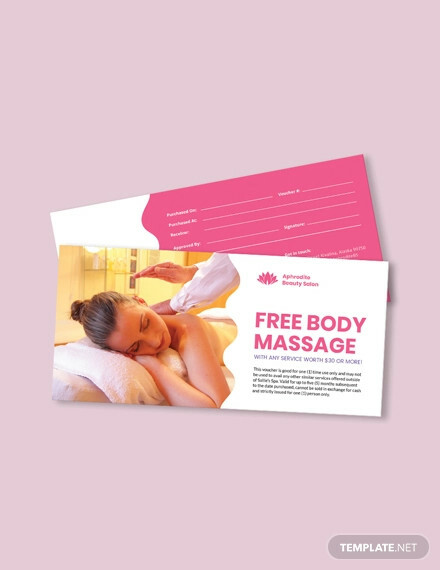 Vouchers can be of use to agencies by offering special deals and packages. 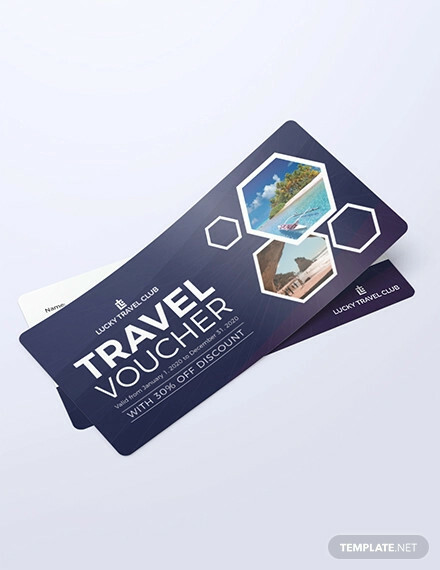 Travel vouchers can cover a series of offers. 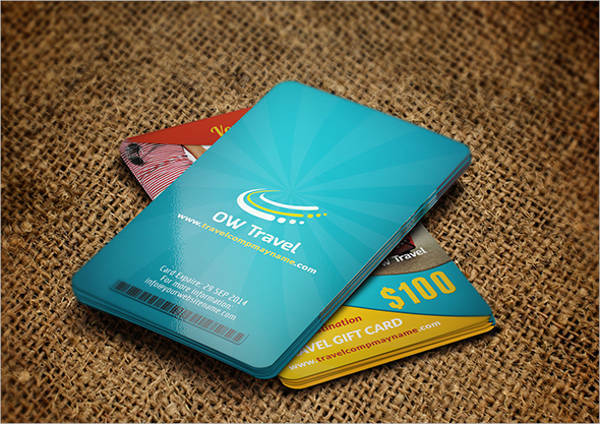 You can offer a discounted plane ticket from a specific airline, or offer free hotel stay for a day or two at an exotic island. Travelling is big deal and an expensive one at that. 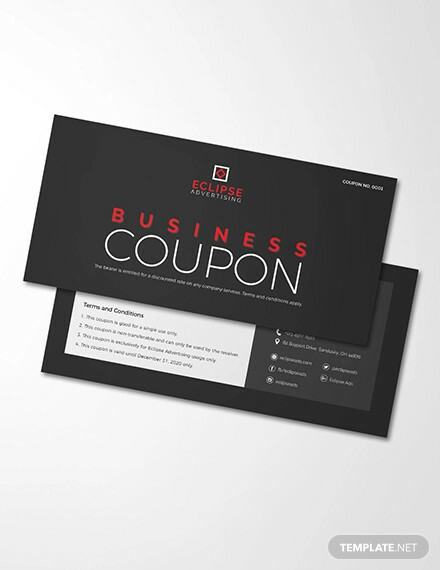 Make your offers suitable for your clients to easily gain profit. 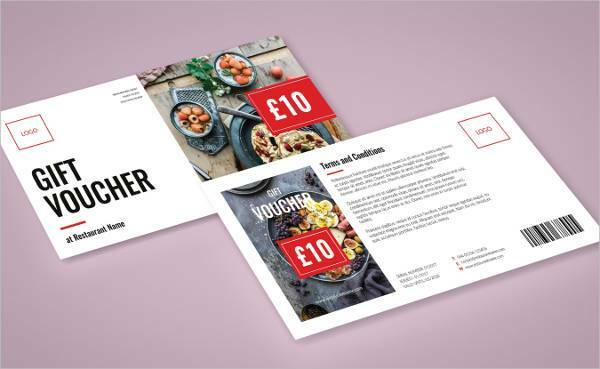 Photography – If you’re still starting out as a photographer or you’re trying to explore different settings and finding a new niche, why not go for vouchers to attract new clients. You can offer discounted rates for photo sessions, or create a special package for destination shoots. 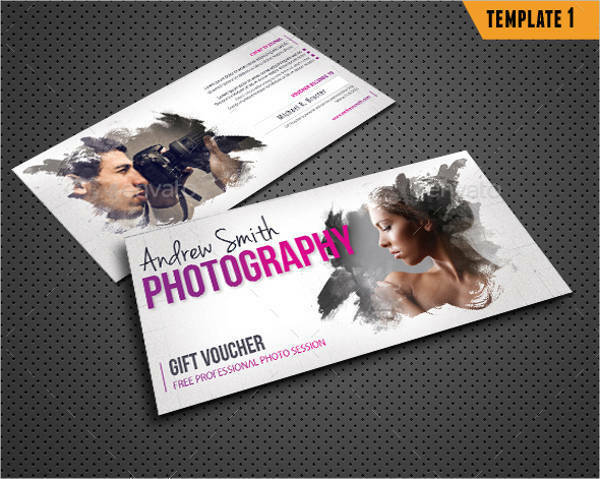 You can even make a voucher for a free session shoot. Think of ways to attract potential clients. 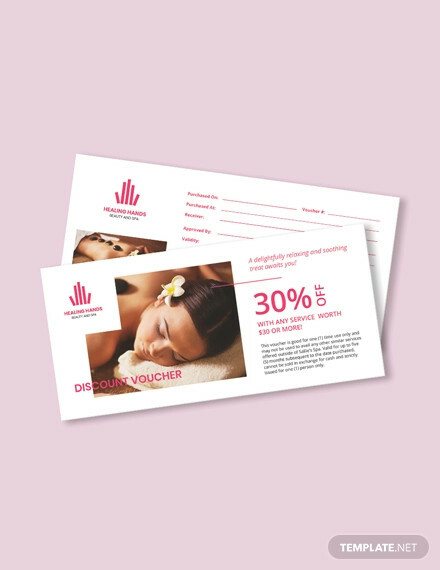 Designing your vouchers can be pretty easy once you have an idea of what it is you want to offer. 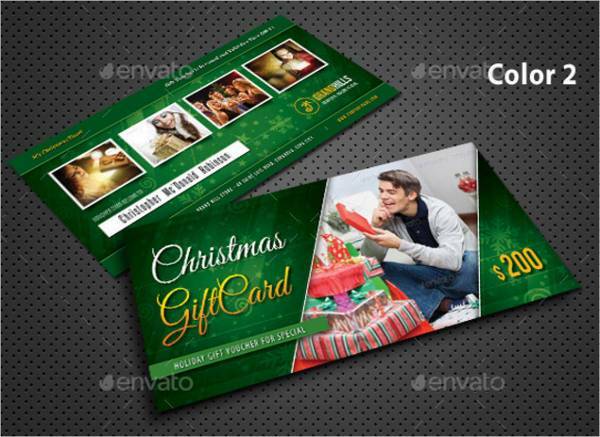 You may be a representative of a corporation or simply an average individual trying to get creative with presents. It’s all about putting out something unique and special for the rest of the world to appreciate and benefit from. 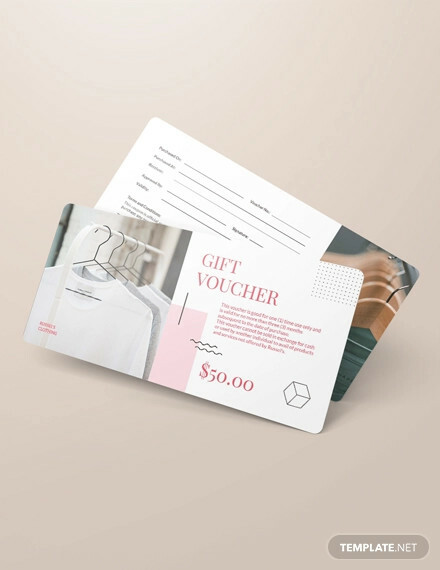 Vouchers can not only attract your potential clients, they create connections between people. You get to discover a new market and new ways to improve and expand your business. 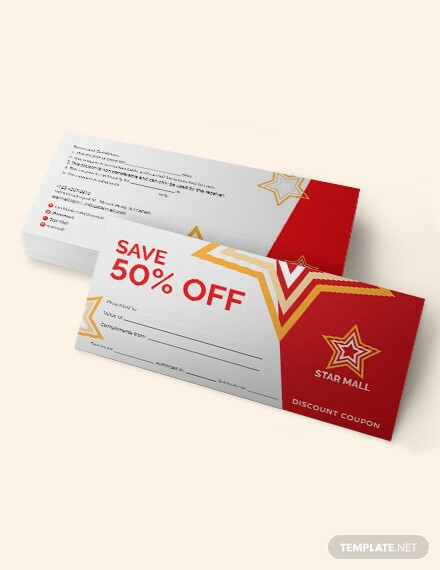 Dedicate some time and effort to make your vouchers a representation of you and your brand.